If you're exploring the world of home automation and control, you might think that these systems require complicated controllers and high-priced devices. But instead of buying an expensive WiFi lightbulb, why lot connect a standard lamp to a WiFi-enabled outlet? 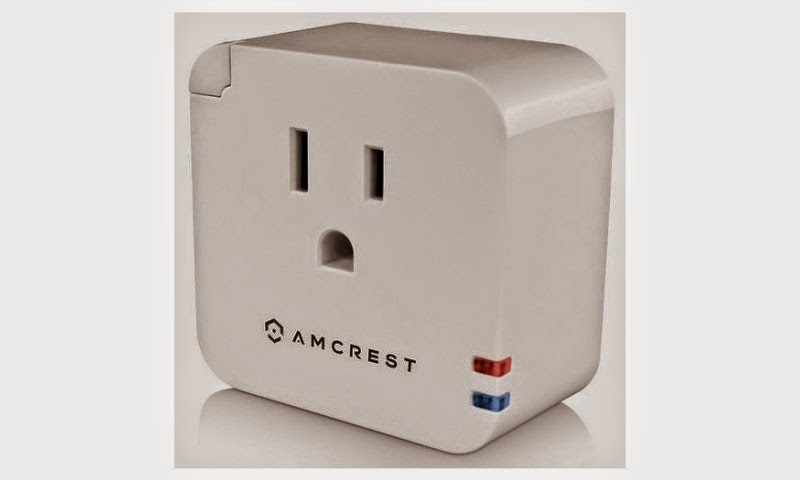 The Amcrest Connect Energy-Saving WiFi Smart Plug can be used to control any home device, including lights, computers, TVs home appliances. You can install multiple plugs and control them from the Amcrest Connect app on an Apple or Android mobile phone. The plugs support scheduling, so you can turn living room lights one before you arrive home at night or off after you go to bed. They also have an enhanced WiFi mode that extends the wireless signal and they stop sending a charge when a phone battery is full, which helps extend battery life. The WiFi Smart Plug is available for $29.99 at Amazon.com.